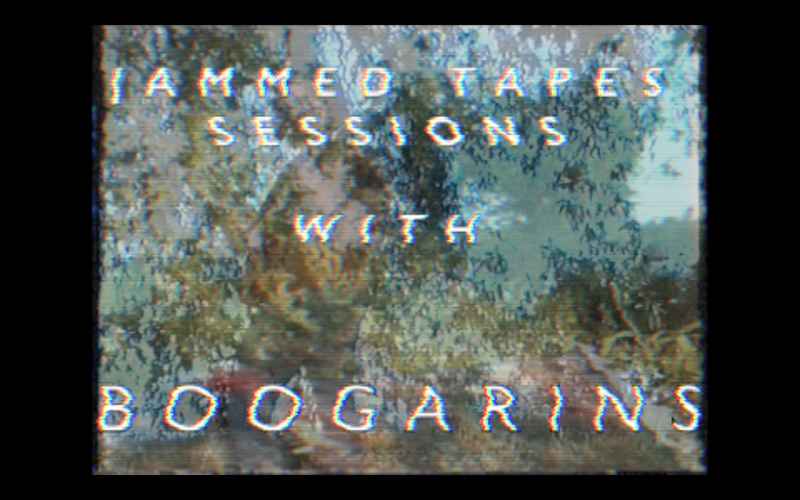 :: JAMMED TAPES SESSIONS:: BOOGARINS DOUBLE VIDEO PREMIERE – IS YOUR CLAM IN A JAM? I first heard about Boogarins about six months ago, when Burger Records labeled their music as Brazilian Psychedelic Tropicalia. The shared track, Lucifernandis, is a beautiful four minute psych gem that manages to draw in as much influence from Os Mutantes as it does from Tame Impala and needless to say, I was instantly hooked. About two months ago, I wrote about Infinu, one of the songs off their excellent debut album, As Plantas Que Curam, where I drew comparisons with their music and the Antropofagismo movement. This got a conversation started between lead guitarist/poly-instrumentalist Benke and myself, in which he told me they would soon be touring Europe, and more importantly Italy, where I am based. 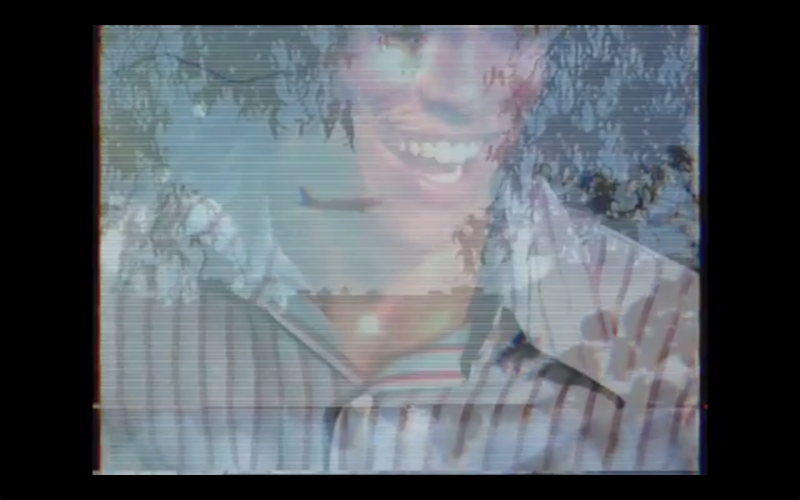 As the idea of starting a VHS project with artists performing outdoors surrounded by nature was beginning to take shape, I found out that they would play a gig in Milan at Circolo Magnolia. For those that don’t know Milan, Magnolia is located near Linate Airport and by the Idroscalo, an artificial lake built during Fascism to land water-planes, now disused and surrounded by a park: the perfect location to shoot a band whose music is the sonic equivalent of sweet rainwater evaporating into space and time from a weeping willow leaf through a sunbeam. Luckily, after a few days of torrential rain that almost screwed the whole plan up, the sun decided to shine and last Tuesday afternoon I met up with Benke and the rest of Boogarins: Dinho (Voice & Guitar), Raphael (Bass), Hans (Drums) and Hoppie, their tour manager. After a little wandering search in the park, we eventually found a spot under a tree close to the lakeshore where, amidst planes taking off in the near distance, rowboats racing in the water in front of us and joggers running in the path behind us, where we filmed two of their new unreleased songs. Benzin, whose intimate lyrical content deals with the melancholic Brazilian notion of Saudade is like a splash of gasoline left in the sun, slowly becoming a multicolored vapor floating away into the blue sky. On the hypnotising Olhos, Benke’s Stylophone melody is an escalator the astral plane while Dinho’s sweet voice and guitar lull you like a warm blanket of starlight in the comforts of the unknown. After the session we floated back to the venue on a cloud of smoke filled with laughter, conversations about late 90s Brazilian rock, their native Goiana, Europe and the strange turn human evolution has been taking in the last fifty years. Being in the presence of such an enthusiastic group of people, with a passion for what they do that’s so great not only it cannot be contained, but is contagious, moved everyone at Magnolia, who went home with a smile on their face and a ray of sunshine in their hearts. Take a look to the first JAMMED TAPES sessions below for some instant sunshine and go get their album here. Thanks to George, Barney, Gio D and Mise for helping me turn this crazy dream into reality!